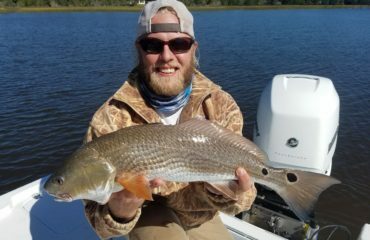 Taking a trip to fish in Charleston SC and interested in learning more about where to fish or certain tips and tricks to make the most out of your trip? 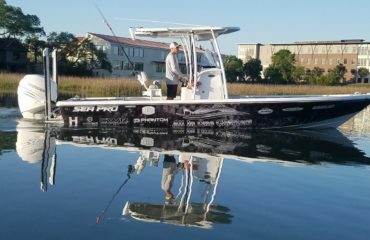 All In One Charters knows the waters around Charleston SC better than anyone, so sit back relax and take it all in! Black seabass can be caught using any sort of cut bait. Small pieces of shrimp, clam, squid or even pieces of other fish will suffice. The bait can be fished on a standard two-hook fish-finder rig with only enough weight to keep the rig on the bottom. Flounder love live fish such as minnow, mullet and croakers. Plus, sea worms and clams will work. Hook larger baitfish through the lips, and smaller baitfish through the eye. You can add some strips of fresh squid or live shrimp to vary the bait mix. When fishing around the bridge pilings, use a No. 2 or 4 Kahle-type hook. See hooks below to under what a Kahle hook is. Fishing for pompano requires a lighter touch. Use small baits and number-1 hooks with split shots, floating your rig in the surf. Small crabs work well for this type of fishing. Live bait is a great way to target Red Drum (or redfish). Red drum will readily take a variety of live baits. Croakers, menhaden, spot, pinfish, mullet and small scaled sardines are all good choices for redfish. Many red drum are caught each year on live shrimp, crabs, and blood worms as well. Live shrimp or big mud minnow under a popping float will work for spotted seatrout. Baits that work well for Sheepshead are mud crabs (and all other small crabs), live or fresh shrimp, sand fleas, clams and oysters. Any of these baits should be used in a similar manner to fiddler crabs making sure that the point of the hook is exposed. Whiting can be caught using a two-hook fish-finder rig or a Carolina rig will work as well. Because whiting are not huge fish, a small hook, such as a No. 1 or 2, will work. 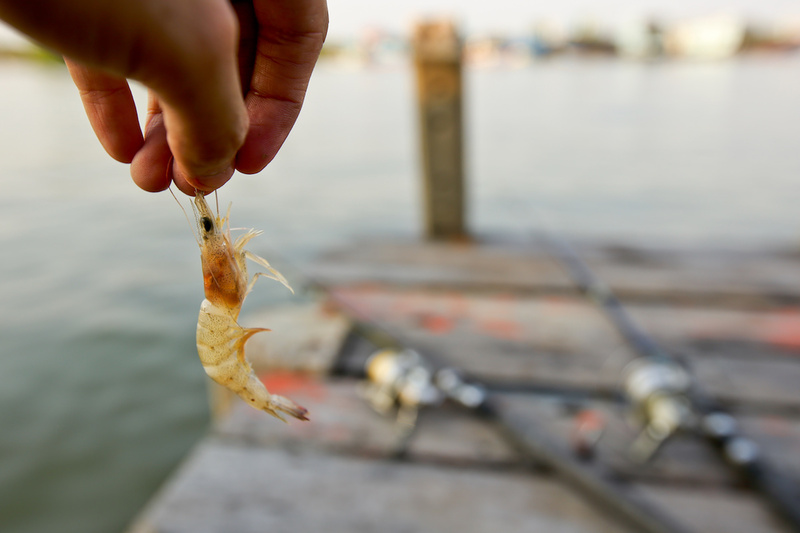 Tip the hook with any morsel of cut bait like pieces of shrimp, clam or even an earthworm. Whiting is a member of the croaker family. Whiting can be found in the surf or inside edges of inlets, which makes them great targets for ultralight-toting anglers who lack a boat. 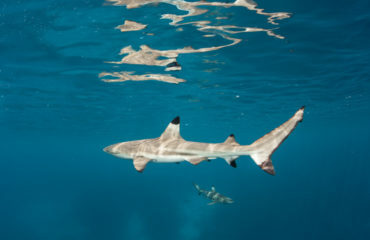 If you own a boat or are on a charter, seek out firm bottom spots, such as outside creek bends. Areas can vary in depth, but most fish are probably caught in less than 15 feet of water. If it is early or late in the day, try a top water lure. Trout seem to be light sensitive, so once it gets bright, you can switch back to the float rig, but it is hard to do since it is so much fun catching fish on top of the water. During late summer, anglers are frequently successful in catching larger fish (up to 20 to 30 pounds) around jetties and at the mouths of bays and sounds. Baits used are either live menhaden, finger mullet or fresh cut mullet. These baits are presented on fish-finder rigs on the bottom. Once the water starts getting warmer, over the low 80s, start fishing deeper spots for trout. Use live menhaden about 3 to 4 inches long on a Carolina rig and fish the baits around structures. A Carolina rig, with a heavy 1- to 3-ounce — pyramidal rig with cut squid or menhaden, shrimp or whole menhaden. 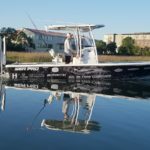 A study was funded by a grant from the Cooperative Research Program of the National Marine Fisheries Service Southeast Regional Office. J-hooks are the type of hook traditionally used for fishing with natural bait. When fishing with a J-hook, the angler “sets” the hook by jerking up on the rod when he feels a bite. If the fish eats by inhaling its entire prey, this may cause the fish to be hooked in the esophagus or gut. Red drum tend to swallow their prey quickly in a vacuum-type motion. Studies in other states have shown that J-hooks have a tendency to deep-hook fish with this type of eating habit. One study in North Carolina (Aguilar et al. 2002) showed that 52.27% of adult red drum (880-1250 mm Fork Length) were deep-hooked in the throat or gut. Of these, 16.28% died of their injuries within 3 days. 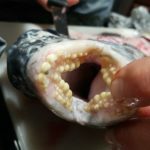 However, none of the fish that were caught in the mouth or tongue died of injuries within the 3 days monitoring period. In the study, 35-40% of red drum were gut-hooked using J-hooks and 5-11% died of their injuries within 48 hours. Kahle hooks and circle hooks look similar, but there is a subtle difference in shape. In kahle hooks, the barb is pointed toward the hook eye instead of toward the shank of the hook. The distance is also much greater between the point and the shaft. This may lead to an increased rate of gut-hooking. 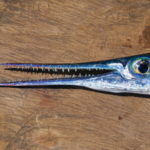 Kahle hooks are efficient at catching fish, but they may contribute to a high mortality rate once the fish is released. To date no research has been aimed at Kahle hooks. 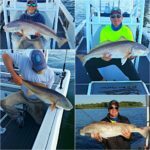 These hooks need to be studied since they are gaining popularity among red drum anglers. Offset circle hooks are similar in shape to the non-offset circle hook; however, the point is not in line with the shank. Hooks are often offset because people believe that this will increase the effectiveness of the hook. 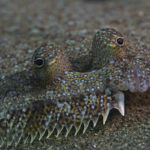 However, there is anecdotal evidence that offsetting a circle hook actually decreases its effectiveness and increases the amount of deep hooking over non-offset circle hooks. The study shows the deep-hooking rate of offset circle hooks is 23%, (intermediate between J-hooks and circle hooks) but that mortality is similar to that of J-hooks (10%). Treble hooks are three-pronged hooks used often on artificial lures. This type of hook had been thought to cause higher mortality than J-hooks in the past. However, it has been shown in several studies that treble hooks cause a comparable amount of mortality to J-hooks. Very similar results have been obtained in studies in both Texas and Alabama (Matlock et al. 1993, Duff 2002). If a fish is deep-hooked with a treble hook, there is a high mortality rate. However, if artificial baits are used, fish are not deep-hooked very often (Muoneke & Childress 1994).